Great (book) expectations is a place for writers to share information about their writing lives and the craft of writing. Cath Isakson, the person behind Great (book) expectations, lives in Tasmania, Australia – hence the focus on Australian authors. As well as interviewing writers, Cath blogs about writing craft. If you’re interested in contributing to Great (book) expectations, send Cath an email. Make sure you mention the topic you’d like to write about and please include your website or blog URL so Cath can find out more about you. 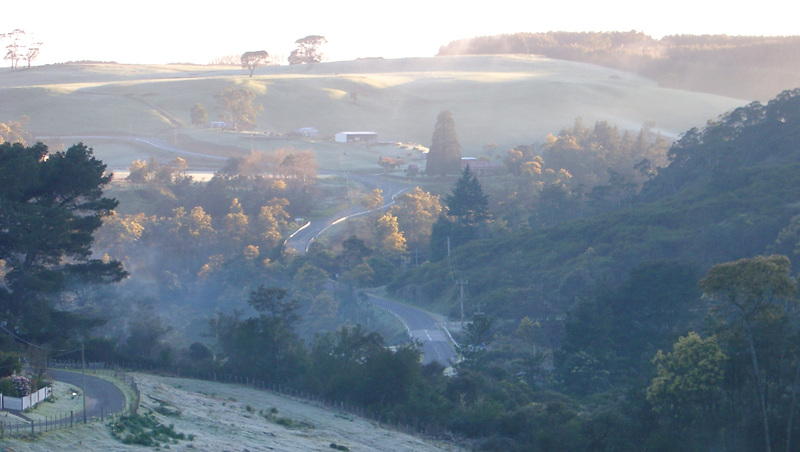 A frosty morning in north-east Tasmania, where Cath lives.